Increase the drilling depth of your auger with a Digga auger extension. 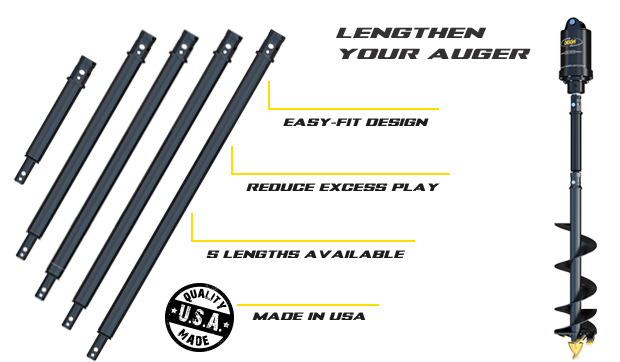 Available for drive units with 2in hex shafts, the XO20 outer extension comes in 2ft, 3ft, 4ft, 6ft, and 8ft lengths. Various length options available including 2ft / 3ft / 4ft / 6ft / 8ft extensions.